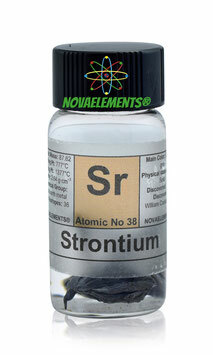 Strontium is another alkali-earths metal with chemical symbol Sr and atomic number 38. Strontium metal is a silvery-grey (sometimes becomes golden) solid at normal pressure and temperature. Strontium is very similar to calcium, but it is more heavy and reactive. 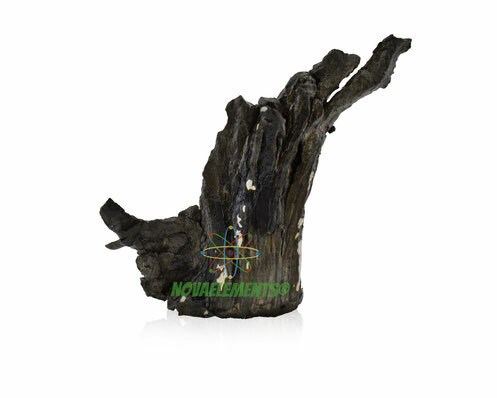 For this metal and its compounds, only very few and special applications exist. Strontium salts are used to make red fireworks. 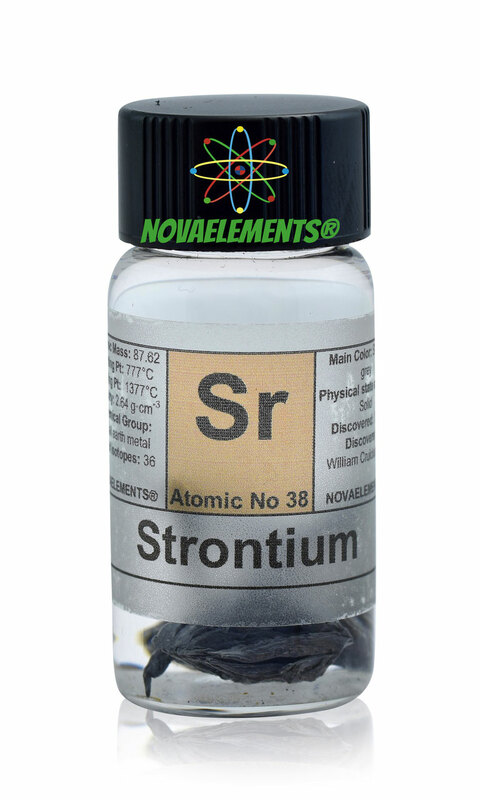 Strontium is notorious for the radioactive 90Sr, which is produced in nuclear power plants as well as in atomic explosions like that in Chernobyl and from atomic bombs. This has a half-life of 29 years. It is build into bones like calcium and there causes cancer.Like Lithium metal, also Sodium metal is put under High Quality mineral oil to prevent oxidation. Of course we do not sell radioactive Strontium! 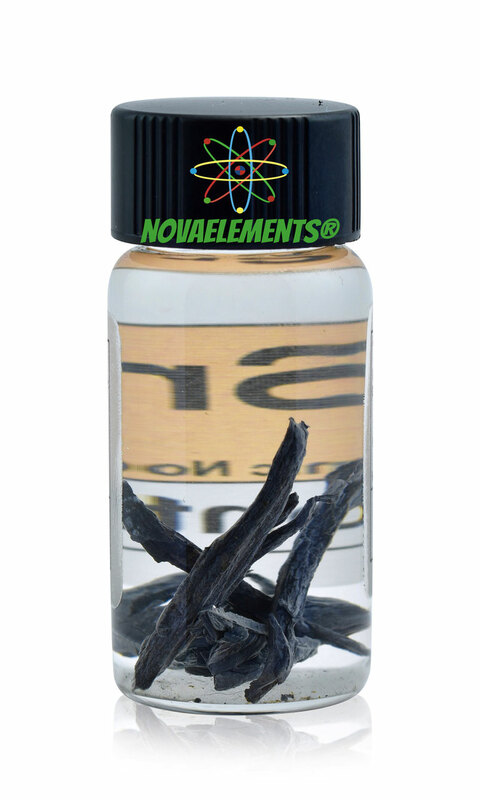 We supply this element at the purity of 99,9% in a 5 mL glass vial with about 1,5 cm of diameter. Pure Strontium metal element 38 sample of 1 gram in glass vial under mineral oil. Strontium metal dendritic pieces in vial with colored label.